← Coobie Seamless Bras are amazingly comfortable! Pittsburgh, PA:Register your child for summer camp fun with Jump Start Sports! Memorial Day is on MONDAY and school is winding down! NOW is the time to get those kids registered for summer camp fun — be sure to tell them you heard about their awesome programs here from My Kids’ Cool Mom! My kids (4, 6 and 8) cannot wait to attend camp and learn about a variety of sports. 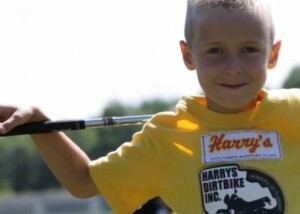 Unique sports camps for children ages 4 – 12. 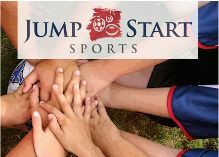 Jump Start Sports Camps are fun-oriented and highly instructional for the novice while more advanced players will learn more advanced concepts and will be coached at their ability and level of understanding. The relaxed and nurturing atmosphere enables children to learn, grow, make friends, and have a meaningful summer experience. Sports offered include baseball, basketball, football, hockey, lacrosse, soccer, tennis, volleyball and more! These sports vary by area. Learn. Develop. Succeed! Children ages 3 – 6 have a blast learning the fundamentals of sports from trained staff coaches (NOT coached by parents of participants). Players are put on teams and play games so that the children learn teamwork, game concepts, and sportsmanship. The first half of the classes focus on skill development using terminology and fun drills designed to teach these concepts to such young children. Programs offered include Hummingbirds Soccer, T-Birds T-Ball, Rookie League Coach Pitch Baseball, Little Hoop Stars Basketball, Mini-Mites Flag Football, and Deck Hockey. These programs provide a special experience for the whole family while children gain an appreciation of sports, specific knowledge and skill, an appreciation of team, and a boost in confidence. Learn. Develop. Succeed! Children of all experience and skill levels improve fundamentals and learn about new sports in these fun oriented programs led by trained staff coaches (NOT coached by parents of participants). Players meet one day a week and are taught skills and fundamentals they will need to succeed in more competitive programs. Then they practice what they have learned in games that teach game concepts, teamwork, and sportsmanship. Sports offered include Introductory Lacrosse, Flag Football, Fall Baseball, Hoop Stars Basketball, Deck Hockey, Beginner/Intermediate Tennis, and Introductory Volleyball. Learn. Develop. Succeed! 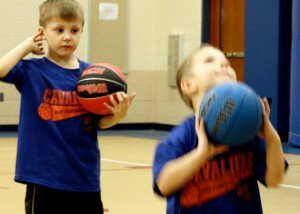 Jump Start Sports offers currently offers programs in PA, OH, MI and NC. At the Olympics and Junior Olympics Sports Camps, children ages 4-12 have a blast learning about and playing a wide variety of sports in a nurturing environment. The Olympic theme is present throughout, with campers selecting a country, creating a flag for their country, and competing in events and games. Children ages 4 – 12 “enroll” in the college of their choice and have a blast learning about and playing a wide variety of college sports. Campers make a team t-shirt to show their school pride, and have a blast earning points for their “alma mater”. 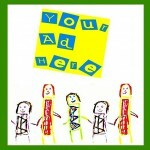 This entry was posted in Deals & Money Makers, Other Fun Stuff, Uncategorized. Bookmark the permalink.